I've taken a lot from the course into my job; the law, current affairs and practical modules have definitely helped me in my current role. "Life after graduation has been quite a blur! I started working at Capital East Midlands on the Weekend Breakfast Show just before starting my final year at NTU. I was also on Capital every Saturday and Sunday morning, 8 am to midday during my degree. It was incredible to get that first show – I'd dreamed about it, but never expected it to happen so quickly. Since graduating, I've moved to the Drive show, which I present with Claire Chambers (also an NTU graduate!) every Monday to Friday 4 pm – 7 pm. It's incredibly surreal, but it's my dream job and I'm absolutely loving it! 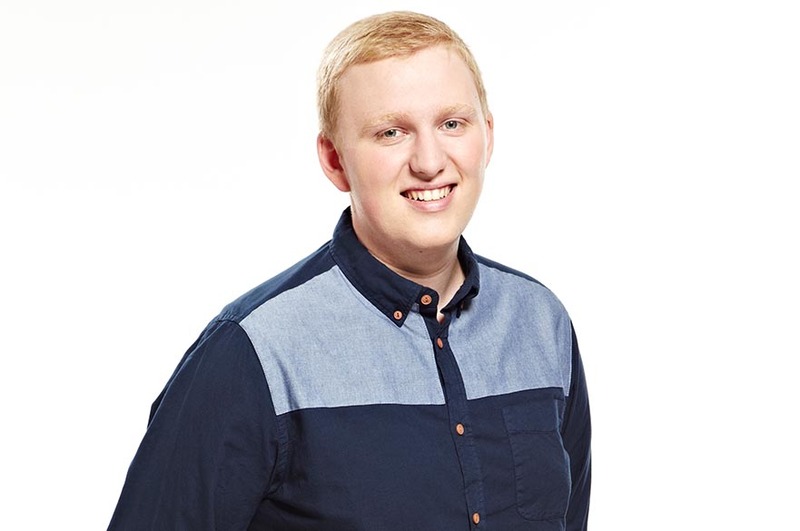 "Throughout my second year I did work experience, one day a week, at Gem 106 on their breakfast show as well as helping out on Dino and Pete's breakfast show. I skipped many night outs, in favour of getting up at 4.30 am to go and get involved, which definitely helped me to build up my portfolio. "The thing that I enjoyed most about studying Broadcast Journalism at NTU was the practical aspect of the course. Getting out into the city with an audio recorder or camera and working in the radio and TV studios gave me a real buzz – I knew then that that's what I wanted to do in the future. Another great thing about the journalism degrees is that the teaching staff have so much experience in the industry and bring lots of guest lecturers in to talk about different areas of journalism. "I've taken a lot from the course into my job; the law, current affairs and practical modules have definitely helped me. Whichever area of the media you work in, you have to have an understanding of media law, in terms of what you can and can't say about people and in reference to the news output too. "The one bit of advice that I would give to anyone thinking about doing this course is to get as much work experience as possible before graduating from university. It enables you to network, which is probably the most important thing to do in the media industry, even if you've already got a job. The more people you know and the more people that know you, the more likely it is that you'll hear about opportunities. This increases the likelihood that people will suggest or think of you for those opportunities."